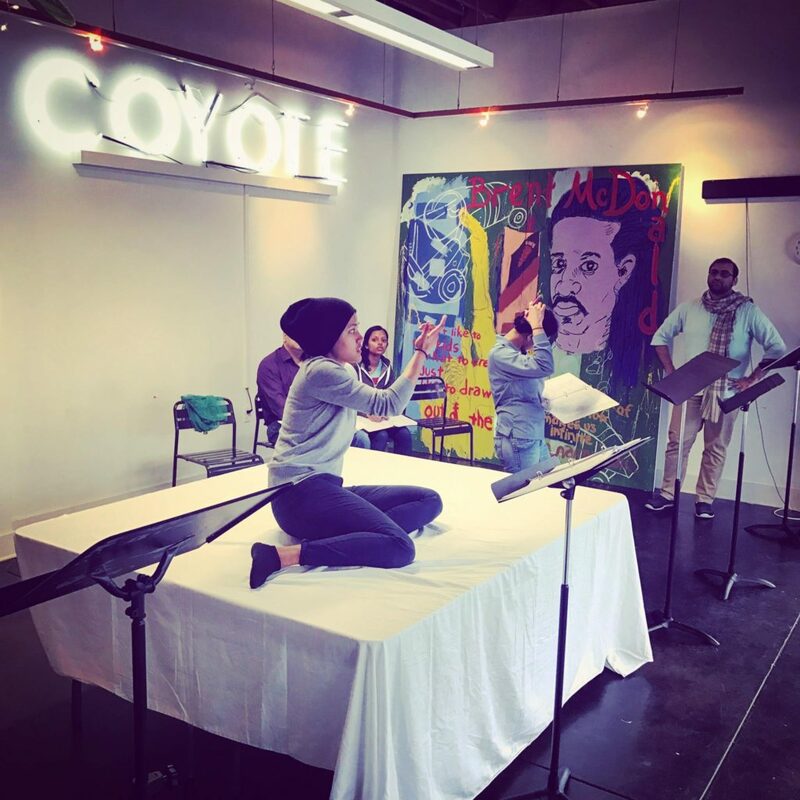 I recently had the chance to attend two fantastic theatre events that were drastically different in scope — one, a Broadway opening night in New York City (surely the dream of every theatre kid ever) and the second, a staged reading at Coyote Central in the Central District of Seattle. Both shows tangentially reference devastating real-life terrorist actions and the ripple-effect responses of those affected. I saw the shows only two days apart — and now, a few weeks later, here’s why I still feel moved by both of them. Let’s start big — Come From Away (by Irene Sankhoff & David Hein) tells a true side story of Sept 11, 2001, when 38 international flights were diverted to the tiny town of Gander, Newfoundland after the US closed their airspace to all air traffic. The small town of 9000 residents fed, clothed, housed, and comforted the nearly 7000 “plane people” from around the world who showed up in one afternoon, and stayed for nearly a week. I first saw this amazing show in Dec 2015 (at Seattle Rep) and was unforgettably moved to laughter and tears as the show brilliantly depicted the remarkable human spirit of compassion and love during times of true despair. That very night, the show cemented its place among my top theatre experiences ever. (Full disclosure: I ended up becoming an investing producer in the show.) Fast forward 15 months later to the pomp and spectacle of a Broadway opening night, replete with red carpet, media, fancy clothes, and an indescribable electricity of excitement among the audience of 1,000. Certainly a story of such generosity and compassion deserves to be celebrated on this level of magnitude. (Some rave reviews don’t hurt either!) The audience was on their feet applauding before the show even finished, and that feeling was sustained for some time after the curtain dropped. I’m charmed by the story of a small boy, Amal, who is navigating his stay in a public hospital in India, doctors trying to determine his illness, while he waits for his uncle to return from his job as a train engineer. Despite the concern one naturally feels for a child undergoing medical treatment, it was useless to resist the endearing Amal as he makes friends with a janitor and a nurse, and develops a crush on a little girl who is also a patient in the hospital. It’s just when I fell under the spell of this story’s youthful innocence that the play pulls out its gut-punch: today is July 11, 2006, the day when 7 pressure cooker bombs were detonated on the Suburban Railway in Mumbai, killing 209 people and injuring hundreds more. Suddenly Amal’s hospital is overrun with casualties and his uncle is scrambling through the aftermath to get back to Amal. The roughly forty-person audience was visibly moved, some in tears, and rapt in silence before the show even finished. But the applause came long and loud, and that feeling was sustained for some time after the final cast bow. Certainly this intimate story that moves people so deeply deserves to be experienced on this level of intimacy. The emotion in the room was palpable and it was uplifting to hear people talking after the show, sharing their emotions and relating the stories this play elicited. The Flux Salon cast of A Small History of Amal by Amal, Age 7. Which brings me to why I’m so passionate about both of these stories and what they represent. Individually, they each tell a moving story and open the door for some introspection and a chance to revisit our own memories surrounding these real-life events. But even moreso, they encourage a personal response from each of us — when times get really difficult (and boy howdy, ain’t they now? ), when tragedy comes out of nowhere — how do we react? How do we support each other? How do we survive? Here’s another thing — the venues of these two shows couldn’t have been more disparate. But the audience responses after each show was equally remarkable. In both cases, I watched people turn to the stranger next to them and start talking. Really talking. About the show, yes. But then about personal stories. Memories. Connection. That’s one of real powers of theatre, whether large or small — the power to remind us to connect to each other. So here’s where all of this brings us — I have two things I want to ask of you. Challenges, if you will. First — Make kindness a purposeful, conscious choice. It shouldn’t take a disaster, tragedy, or terrorism to remind us to choose to treat each other with kindness and respect. And the second thing? Get out there and see a show! Treat yourself to a big musical, come join us at The Flux Salon, hit an offbeat late-night fringe show, anything! A story can’t do anything unless someone is there to hear it, so be that someone. 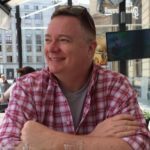 A member of the Forward Flux Board of Directors, Mikel is an expert in consumer connection, a world traveler, and a live performance aficionado. He has developed online customer experience strategies for companies worldwide, including AT&T, Disney, Bank of America, and Verizon. His experience as a musician, director, and producer is extensive, having spent nearly 30 years on stages large and small, in orchestra pits, recording studios, and in attendance at thousands of musicals, concerts, and plays. He brings a keen sense to the technical, artistic, and esthetic merits of effective performance. Producer credits include the 2014 Tony Award-winning A Gentleman’s Guide To Love & Murder (Broadway & US National Tour); Just Getting Good (Valerie Vigoda’s live concert video & CD); Village Originals (Village Theatre). Select musical director credits include the long-running Sunday Brunch with Dina Martina; Capitol Hill smash hit Bed, Boys, & Beyond (Gaydar Productions); Tell Me On A Sunday and Dirty Little Showtunes (Thumpers’ Oak Room). 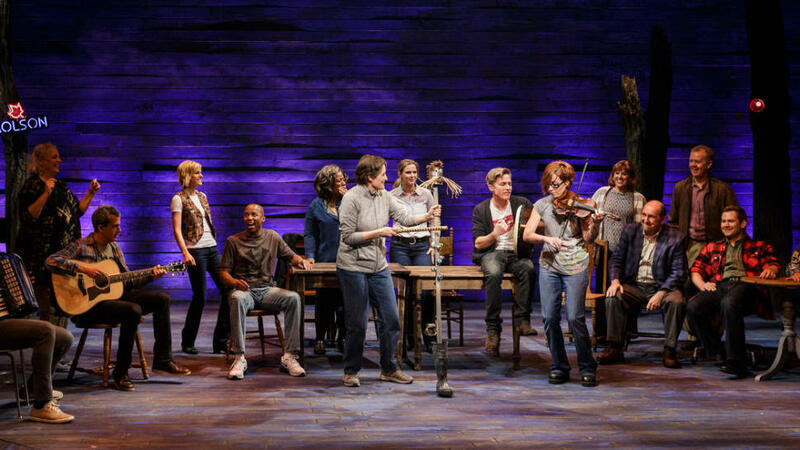 Upcoming: Producer for the upcoming Broadway production of Come From Away. Mikel holds a B.A. in Music from Brigham Young University, and lives in Seattle.